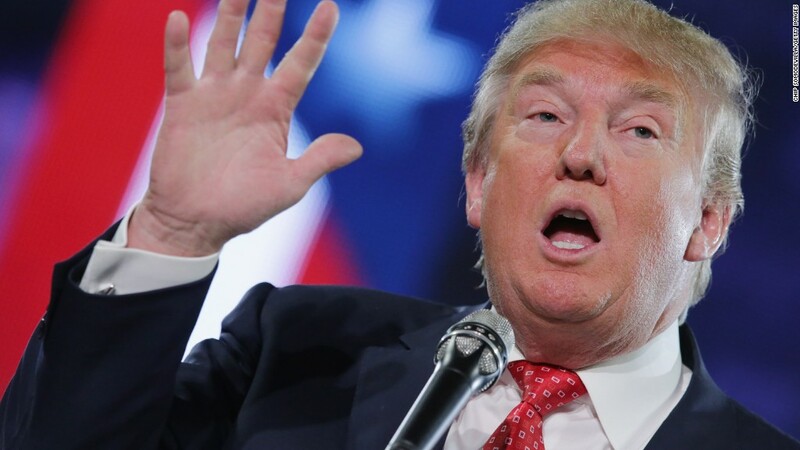 Donald Trump is skipping Thursday's GOP debate and going to war with the Fox News Channel. Instead of attending the debate, "We'll have an event here in Iowa, with potentially another network, to raise money for wounded warriors," campaign manager Corey Lewandowski said. "And Fox will go from probably having 24 million viewers to about 2 million." At the end of the day, Fox said Trump "is still welcome" at the debate "and will be treated fairly," but the network also slammed Trump for "viciously" attacking Kelly and accused Lewandowski of threatening her. In a statement, a Fox News spokesperson said Lewandowski told a Fox executive last Saturday that Kelly had a "rough couple of days after that last debate" and he "would hate to have her go through that again." "Lewandowski was warned not to level any more threats, but he continued to do so," Fox said. "We can't give in to terrorizations toward any of our employees." Trump's apparent decision changes the dynamic for Thursday's event, which is the last GOP debate before the all-important Iowa caucuses. Other television networks may jump at the opportunity to televise a Trump event while the debate is taking place on Fox. No details about Trump's plans were immediately available, however. "Let's see how much money Fox is going to make on the debate without me, okay?" Trump said at an evening news conference. He asserted that the ratings will sink if he's not there. In a followup statement later in the evening, Trump's campaign said Trump "knows when to walk away." "Roger Ailes and Fox News think they can toy with him, but Mr. Trump doesn't play games," the campaign said. Ailes is the chairman of Fox News. So now the network and the candidate are at loggerheads. Political observers are flabbergasted -- as they have been throughout his campaign. Meanwhile, Trump supporters at a rally in Iowa sounded amused and intrigued by the news. 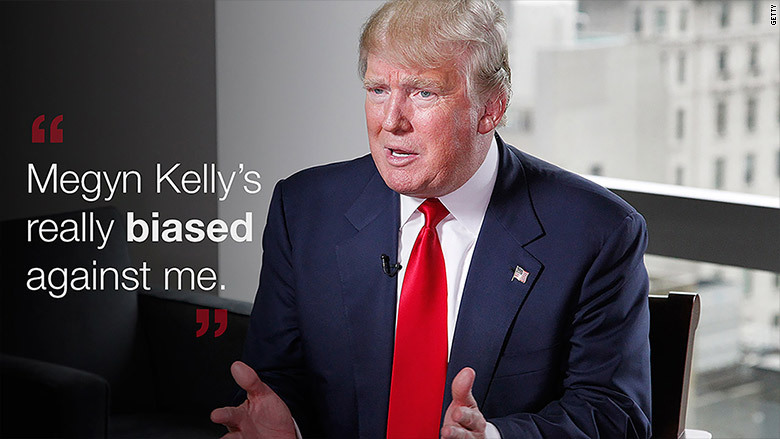 Some analysts said Trump is using his tiff with Kelly as an excuse to skip the debate. This theory postulates that he doesn't want to go head to head with Cruz just a few days before the caucuses. Cruz jabbed Trump about the decision, remarking, "If she asks him mean questions, his hair might stand on end." Kelly memorably challenged Trump during Fox's first debate back in August and will be back in one of the moderator chairs on Thursday. For several days, Trump has been saying she is biased and shouldn't be allowed to moderate. Fox rejects that. On Monday the network said Trump is just "fearful" of the TV host. The disagreement came to a head on Tuesday afternoon. Around 1 p.m. Trump polled his fans on Twitter, asking, "Should I do the GOP debate?" In an Instagram video that coincided with his poll, Trump said, "Megyn Kelly's really biased against me. She knows that, I know that, everybody knows that. Do you really think she can be fair at a debate?" "We learned from a secret back channel that the Ayatollah and Putin both intend to treat Donald Trump unfairly when they meet with him if he becomes president — a nefarious source tells us that Trump has his own secret plan to replace the Cabinet with his Twitter followers to see if he should even go to those meetings," the statement said. The intended message to Trump was clear: "Grow up." When Trump read the statement, he shot back with a tweet, calling it a "pathetic attempt by Fox News to try and build up ratings for the #GOPDebate." He added, "Without me they'd have no ratings!" At 6 p.m., Fox announced the lineup for Thursday's debate, with Trump at center stage. At a press conference 20 minutes later, Trump said he "probably" wouldn't show up. Then his campaign manager said he "definitely" wouldn't. In a separate statement on Tuesday afternoon, Ailes said the "entire network stands behind Kelly" and that she "will absolutely be on the debate stage on Thursday night." "Trump is used to controlling things," she remarked. "He doesn't get to control the media." She signed off on Tuesday by commenting that "not everyone is showing up" to the debate, but "we hope you will."